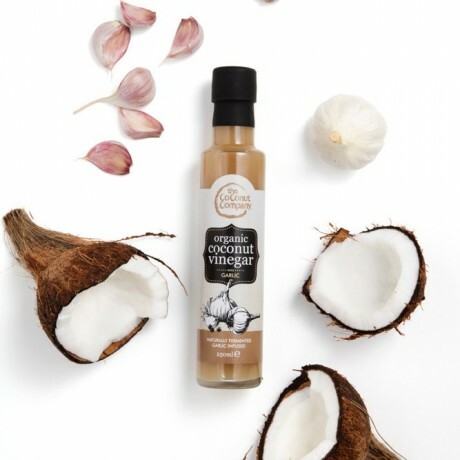 Derived from the raw sap of the coconut flower blossom and naturally fermented for 10 months without adulteration. 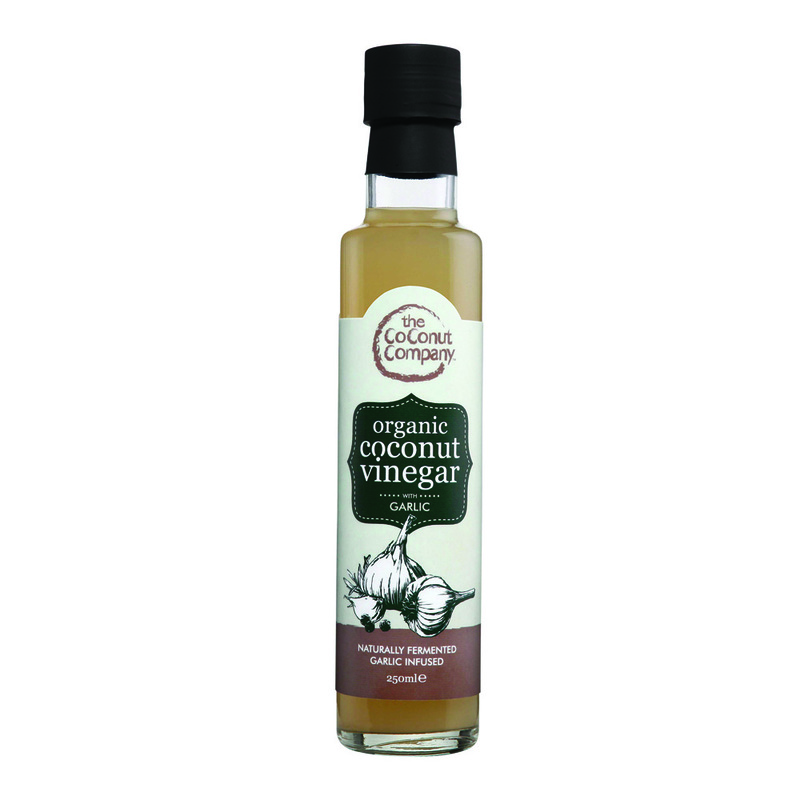 This Organic Coconut Vinegar with Garlic is naturally fermented and expertly aged without adulteration. This product is an excellent ingredient for cooking, marinating, pickling, as a salad dressing and a delectable component for many sauces. Ingredients: Organic Coconut Sap and Organic Garlic. Directions: Store at room temperature. 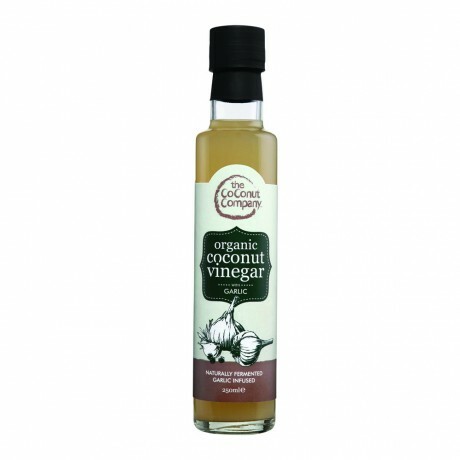 Sediment is a natural attribute of coconut vinegar.